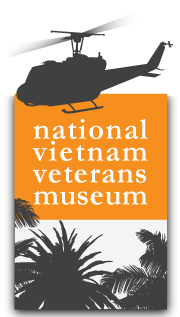 The National Vietnam Veterans Museum (“the NVVM”) understands the importance the community places on confidentiality of individuals' personal and/or sensitive information. This extends to the collection and management of information held in our records regarding individuals. Personal and sensitive information is only collected as is reasonably necessary to enable the NVVM to maintain its activities and deliver services to the community. Personal information about an individual should only be collected with the individual's consent. Information will only be used or disclosed for the primary purpose for which it was collected. In some instances, information provided by individuals may be used to keep them better informed about the NVVM activities and services, such as by way of a newsletter. Individuals have the right to opt out of receiving such additional mailings. the NVVM has a legal obligation to disclose personal information which overrides the provisions of the primary legislation. The NVVM will not sell or exchange or release personal information about an individual for commercial gain. Personal information will be destroyed or permanently de-identified when it's no longer needed for the purpose for which it was collected. The NVVM website uses secure technology for online transactions to protect credit card information. Our websites contain links to other websites. The NVVM does not accept responsibility for the privacy practices or the content of linked websites. To the extent possible, individuals will be given the option of not identifying themselves when dealing with the NVVM. The NVVM will not sell, exchange or release personal information except where necessary for the purposes of collaborative work directly related to the original reason for the provision of information. Personal and/or sensitive information will be collected and maintained on confidential databases maintained by the NVVM in support of its activities and service provision. Staff and volunteers who may have access to personal and/or sensitive information in the course of their duties will respect its confidentiality and not disclose the information to any third party. Breaches of confidentiality by staff will be dealt with in accordance with the conditions of appointment to the staff of the NVVM. Complaint given to the NVVM Administration Manager for assessment and investigation in consultation with the Chief Executive Officer. If the individual makes a formal complaint to the Privacy Commissioner, the Chief Executive Officer is to be the respondent on behalf of the NVVM. The NVVM website uses first party cookies to enable users to use certain features of the website. A first party cookie is that which is created by the web site you are currently visiting – in this case the NVVM. If you do not allow cookies to be used within your browser, then you may not be able to use all the features of this website. While the anonymous statistical data the NVVM collects may be aggregated and used in broader statistical analysis by the NVVM or the State of Victoria, at no time can we personally identify you as the source of that data.